Returning to Lake Elsinor for one more round of Honda goodness! 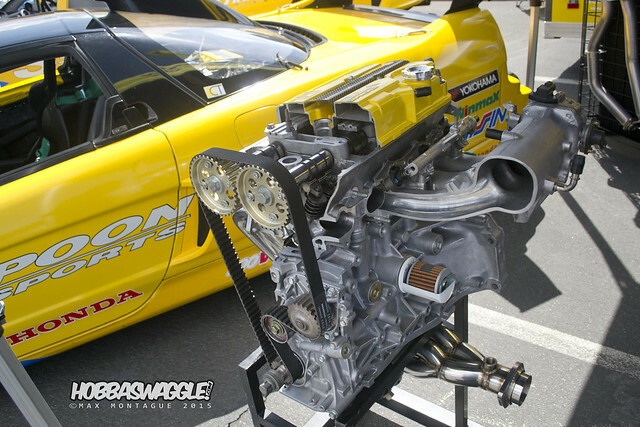 The one thing you can really count on to be interesting and original at a Honda meet is the attention to detail in that special little place under the hood, nestled between those two front-driven wheels. ‘Backyard Joe’ always draws a huge crowd around his single-cam powered civic, and not just because it’s an extremely clean and well-executed example of a Kraftwerks-supercharged D-series (of which not many examples exist yet), but because of the amazing original hand-drawn artwork that covers the bay! I’ve gotten a chance to check out his Backyard Designz Co. shop and it is truly a jealousy-inducing experience, imagine being able to sleep just feet from your giant garage that also serves as a shop where you get paid to work on awesome cars all day! 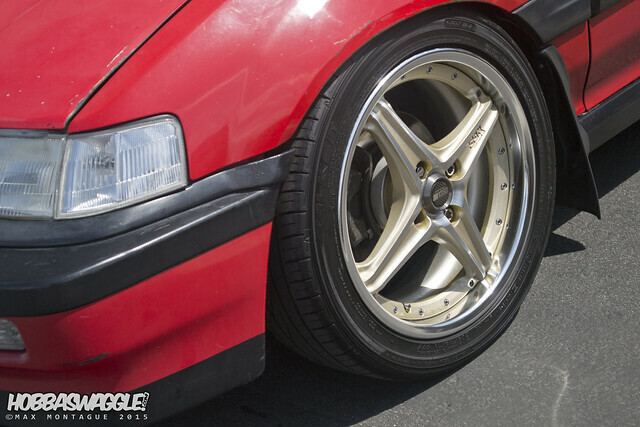 I can always count on fourth-gen civic owners to bring out some of my favorite wheels of all time in surprisingly good shape like these rare Crimson Linea Sport Fins (not SSR sport-fins, which they look very similar to) that suit this CRX excellently. There were a slew of EF wagons (or ‘shuttles’, or ‘beagles’, etc.) all sporting different colors and wheel choices all parked in the back corner together, I love the front pushbars! 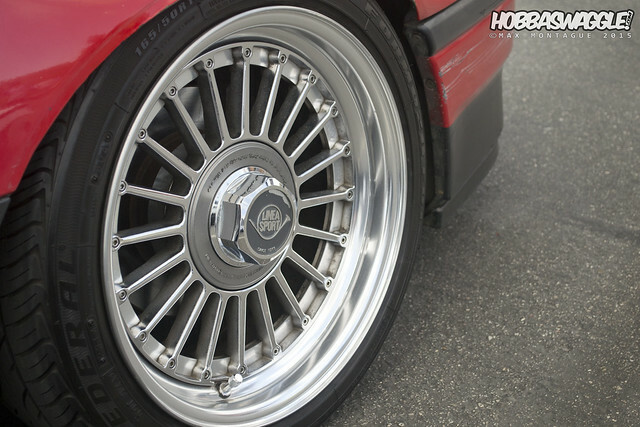 SSR SP2R’s looked great on this red one. Throughout the day I was stopping to check out wild approaches to engine bays. 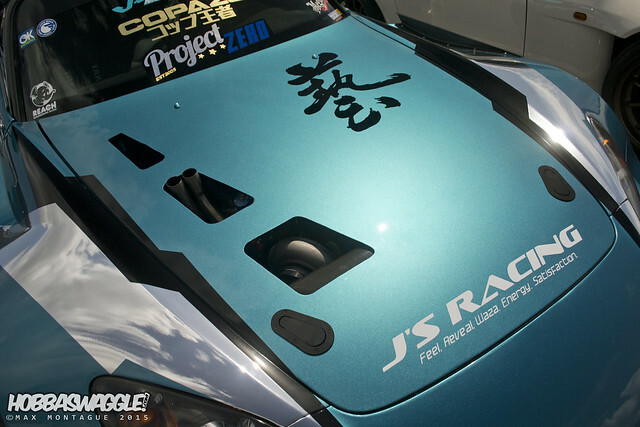 The contrast of a subtle exterior and a totally crazy color scheme hidden under the hood is super cool to me. 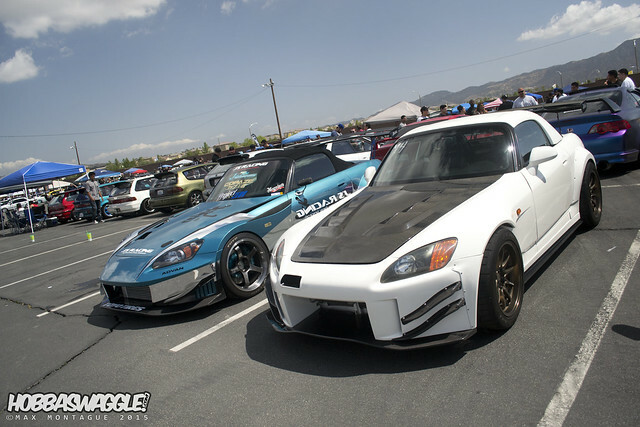 Spoon was on hand to provide some true JDM presence and brought out all kinds of cool things to peer into and around. I’m going to close it out with this EF Civic I found on my way back through the parking lot. Usually I can shoot an entire post’s worth of content out in the parking lot of an event like this, but as I was leaving pretty close to the end of the show the majority of the interesting cars had left already. Or at least that’s what I’m hoping because I only saw about 10 modified cars in a lot of a hundred or so that remained. 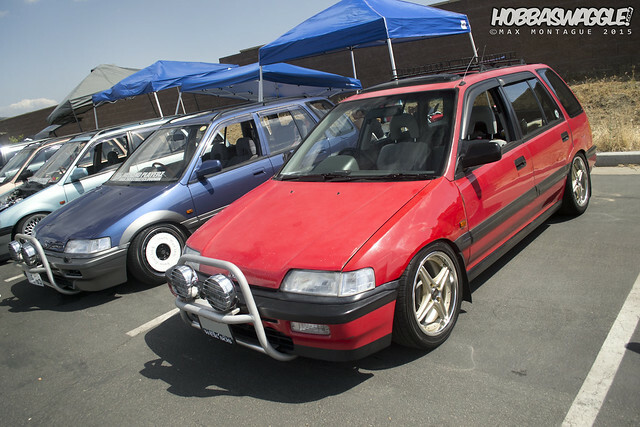 I’m not sure if this is a good sign that more people are becoming interested in tuning and modifying Hondas and attended Eibach 2015 seeking to learn more about it or that it is a symptom of a momentary fad. As I stated in my previous post; there were a lot of really great cars to behold at the show this year, but if people are attending just to see cars hammered down as low as they can go with as much stupid camber and tire stretch as is physically possible, purely for the spectacle of it, it isn’t something that can last. Eventually people will get bored of dragging bottle caps around with their oil pans and grinding the inner lips of their fake BBS LM’s because they’re Back-to-the-Futuring their Fit with 45 degrees of negative camber and they will move on to a new hobby that involves slowly destroying the thing you’re supposed to love and cherish. 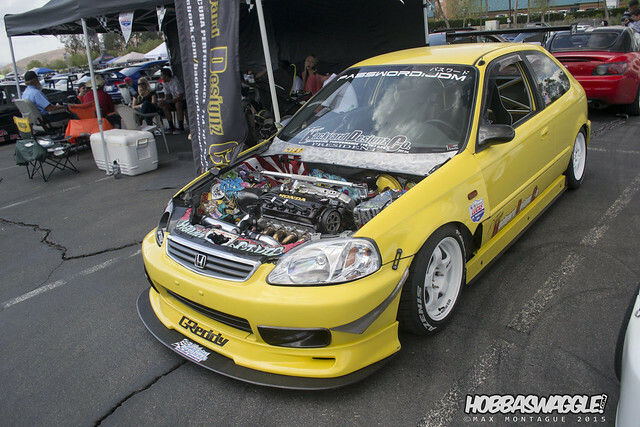 For NOW though, I am going to stay positive and focus on the owners and builders that strive to push forward with a mind towards quality, and thankfully it still exists in handfuls at the Eibach Honda meet. 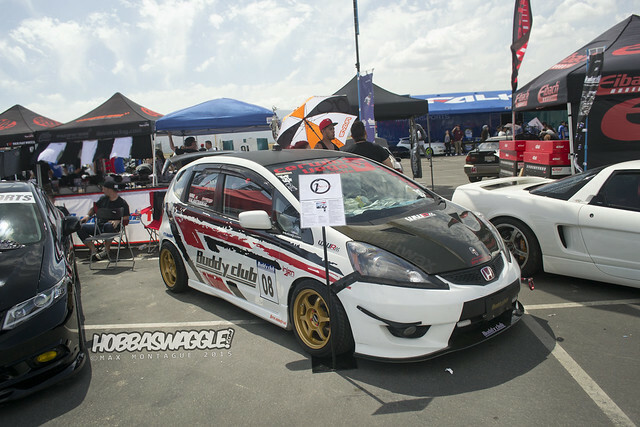 This entry was posted in Car Shows, Honda and tagged Acura, backyard designz co, beagle, Buddy Club, Civic, EF, EG, Eibach, Eibach 2015, EK, Honda, Integra, ITB, J's Racing, JDM, NVus, RSX, S2000, Shaved bay, shuttle, sparco, Spoon, SSR, Supercharged, TE37, TSX, USDM, Volk, wagon, Work by Max. Bookmark the permalink.